Slim Fit & Camera Protection: Keep your phone slender and form fitting to fit right in your pocket and bag without adding bulk. Raised bezel protects screen, fingerprint scan, camera and flash from scratches. Durable side stripes give you good grip. 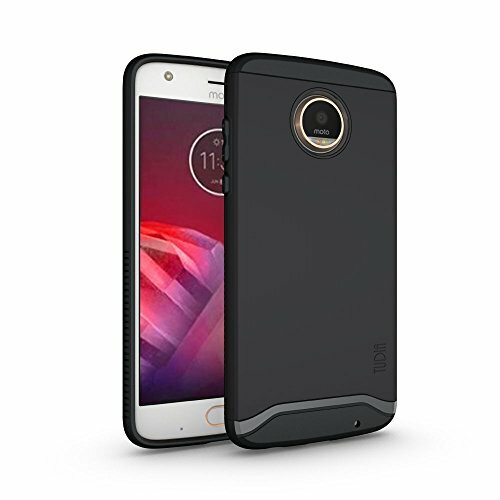 ✔ The bumper cover is perfectly compatible with all the Moto Mods as it has open back. ✔ All the buttons are safely covered with the soft TPU for best experience. ✔ High quality materials protect all the edges, buttons, screen and inputs of your Motorola Z2 Play. 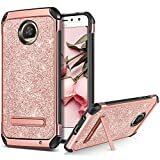 ✔ Due to the raised lips of the case it protects the screen and the camera. The bumper fits the phone tight to avoid any chance of its falling out. 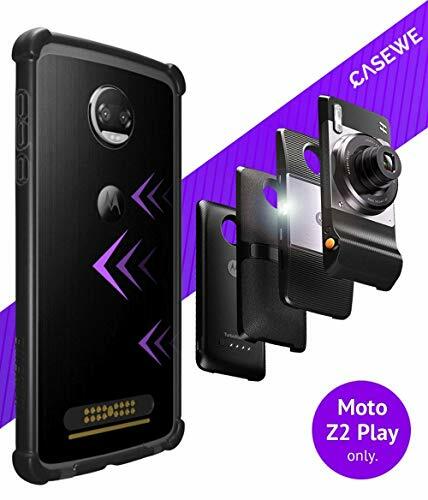 [Designed for the Motorola Moto Z2 Play] This well-crafted Motorola Moto Z2 Play Case is custom designed to fit the smartphone like a glove. Precision cutouts for camera, ports, and buttons keep everything readily accessible. You can charge your smartphone without removing it from the case and listen to earphones with the case closed. 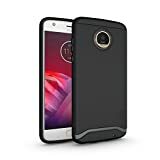 [Premium Quality and Stylish Design] The Motorola Moto Z2 Play Leather Case combines a firm design with quality that is built to last. 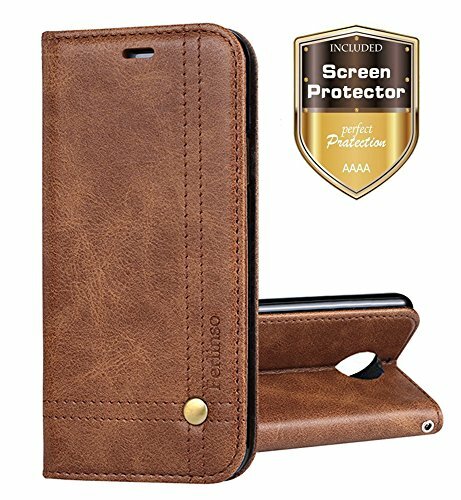 Made from premium synthetic leather, the cover is soft to touch and looks and feels like real leather. Well crafted with precision stitching and a design that's simple and classic, it makes a stylish everyday accessory for your smartphone. 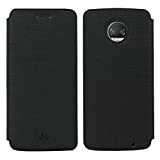 [Card Slots and Bill Compartment] The Motorola Moto Z2 Play Cover is very functional and includes wallet-like features such as slots to hold cards and room for cash/receipts in the inside pocket. Enjoy the convenience of having smartphone, credit cards, license and cash all in one place. [Stand Function] This Motorola Moto Z2 Play Wallet Case has built in stand feature, which folding into multi-viewing angles to watch videos and hands free. 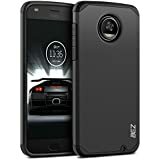 Compatible with Motorola Moto Z2 Play 5.5 inch Smartphone(NOT Compatible with Motorola MOTO Z Play 5.5 inch Smartphone). This product is only for Moto Z2 Play, the dimensions of your device should be : 6.15 x 3.00 x 0.24 inches (156.2 x 76.2 x 5.99 mm). Snap on design allows for easy installation and multiple colors are available to match your personal style. 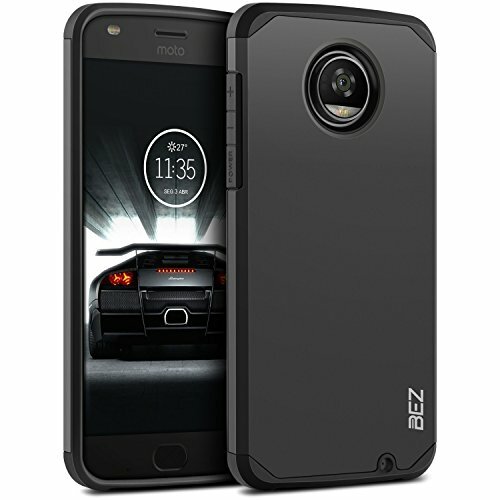 [Designed for the Motorola Moto Z2 Play] This well-crafted Motorola Moto Z2 Play Case is custom designed to fit the smartphone like a glove. 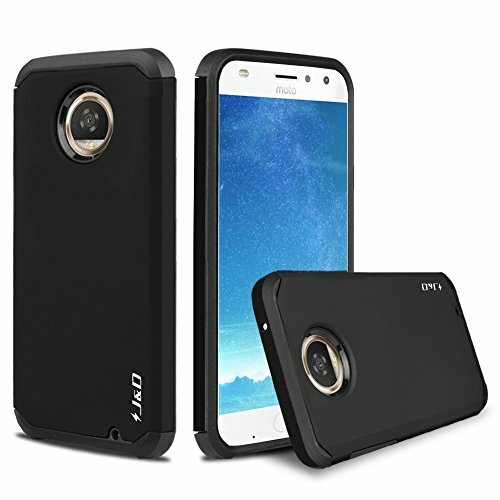 Enhanced soft TPU inner shell rather than brittle crystal shell. Soft flexible TPU material provides excellent protection for your phone's daily bumps and scratches. Flexible, durable case makes for long-lasting protection. Also, the case's precision fit allows easy access to all ports, buttons, camera. 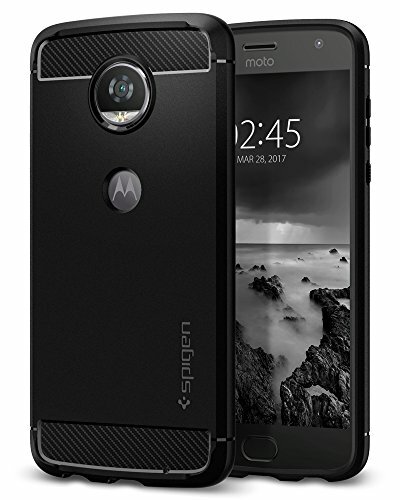 [Synthetic Leather] The Motorola Moto Z2 Play Leather Case combines a firm design with quality that is built to last. Made from premium synthetic leather, the cover is soft to touch and looks and feels like real leather. 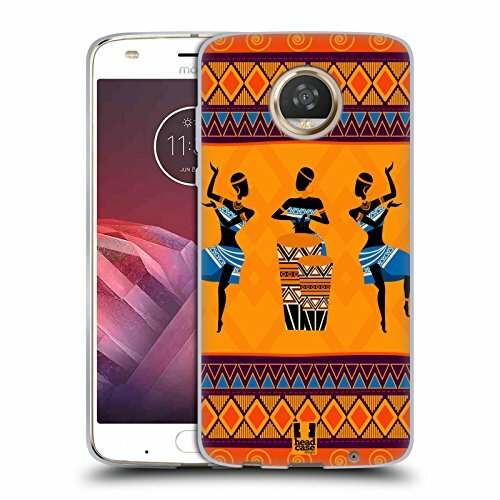 Well crafted with precision stitching and a design that's simple and classic, it makes a stylish everyday accessory for your smartphone. 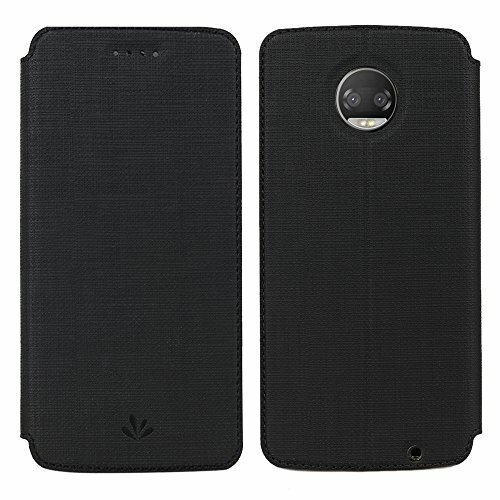 [Wallet Design] The Motorola Moto Z2 Play Cover is very functional and includes wallet-like features such as slots to hold cards and room for cash/receipts in the inside pocket. Enjoy the convenience of having smartphone, credit cards, license and cash all in one place. 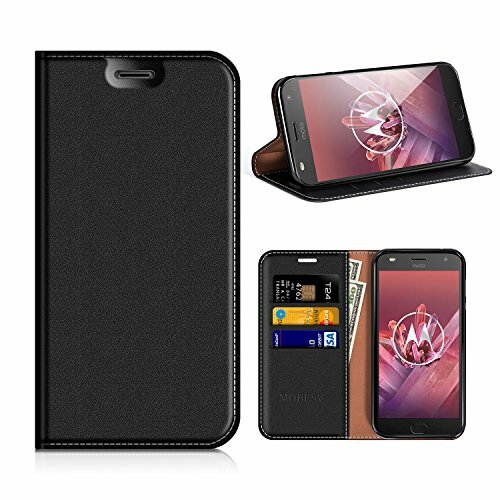 [Viewing Stand] This Motorola Moto Z2 Play Wallet Case has stand function which will bring you more convenience for movie-watching with multi-viewing angles, hanging out with friends on Face Time, and taking timed group photos. [Book Style and Zero Magnetization] This Motorola Moto Z2 Play Flip Case is with ZERO magnet in book style to avoid demagnetization of credit cards.. Compatible with Lenovo Moto Z2 Play 5.5 inch Smartphone(NOT Compatible with Lenovo MOTO Z Play 5.5 inch Smartphone). [Premium Quality and Style] The Motorola Moto Z2 Play Leather Case combines a firm design with quality that is built to last. 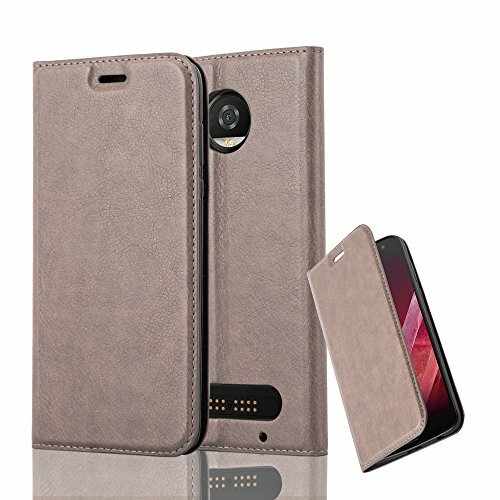 Made from premium synthetic leather, the cover is soft to touch and looks and feels like real leather. 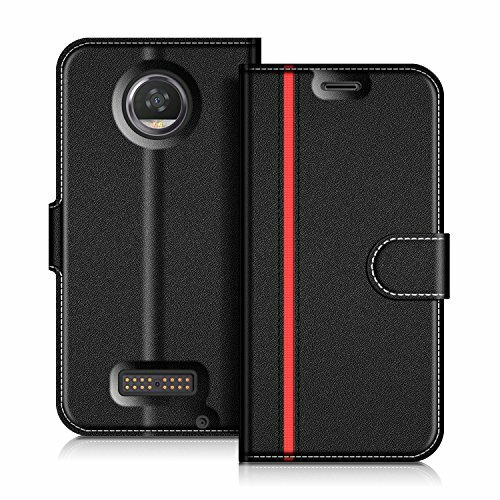 Well crafted with precision stitching and a design that's simple and classic, it makes a stylish everyday accessory for your smartphone. 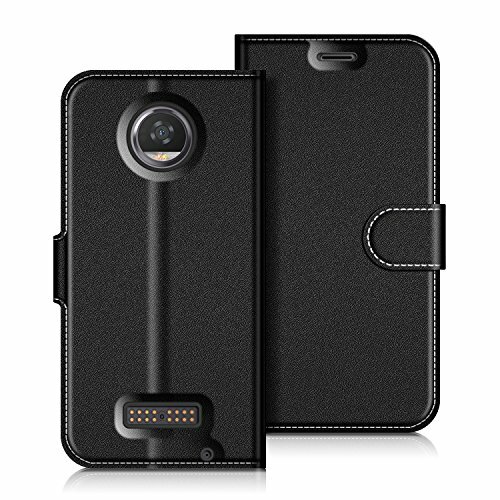 [3D FULL COVERAGE]: Specifically designed for your Motorola Moto Z2 Play. Tempered glass with 3D hot bending technology, cover your phone edge to edge, beautifully smooth as the original screen. [SCRATCH RESISTANCE]: 9H Hardness scratch resistance screen protector can effectively protect your screen from unwanted scuffs and scratches by knife, keys and some other hard substances. 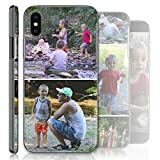 [EASY INSTALLATION & CASE FRIENDLY]: Bubble-Free adhesive makes the screen protector automatically adhere to the screen smoothly and no residue left after removing the screen protector. Specially leave leeway for all sides, so can compatible with all cases. [CRYSTAL HD CLEAR]: 99.99% High-Definition Clear, Hydrophobic and Oleophobic Coating can greatly reduce the sweat, oil residue and fingerprints, remaining high responsive and sensitive in the meantime. 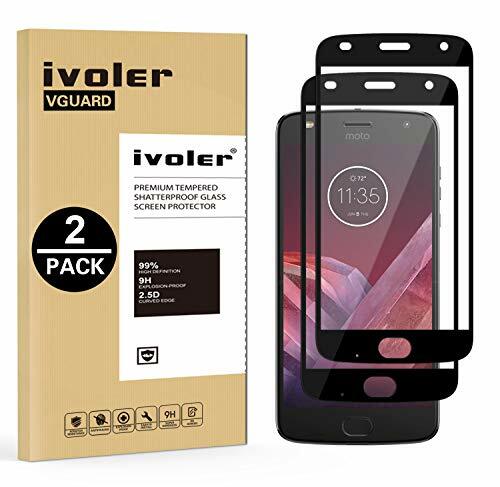 [RETAIL PACKAGE INCLUDES]: 2x iVolerTempered Glass Screen Protector, 2x Wet/Dry Wipe, 2x Dust removal and guide sticker, 1x Installation instruction. 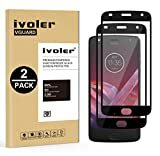 All Screen Protectors are backed by iVoler's Lifetime Warranty Program. If any problems please contact us for full refund or resend without returning it. 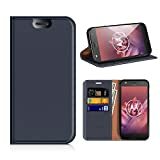 Durable material wallet case, specifically designed for Moto Z2 Play.Includging 1 pcs Moto Z2 Play Screen Protector to full protec your phone. 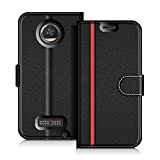 SECURE CARD SLOTS & Money Pocket: This protable case is multi-functionally designed to act as a case and secure portable wallet. Multiple slots allow you to carry credit cards as well as cash. 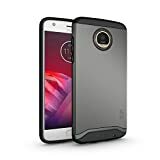 Keep your Motorola Moto Z2 Play phone fully protected, shock proof and scratch resistant. 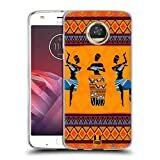 [Special Notice] Compatible with Motorola Moto Z2 Play Only. Disclaimer: Product color on computer screen may vary due to lighting and screen pixel quality. FUNCTION: All plugs are freely accessible and all keys and buttons are easy to reach. The cover with sewn in magnets protects your smartphone from all sides and also prevents an opening in your bag. 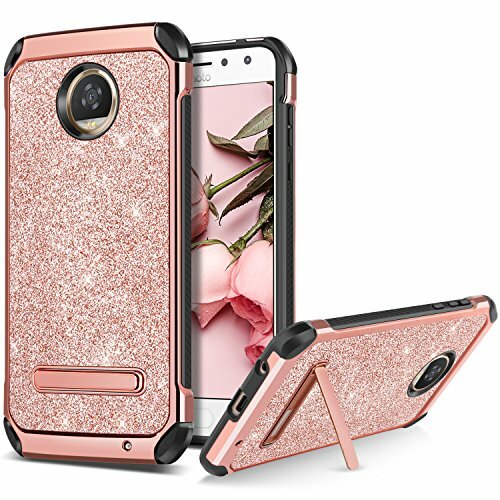 The case is robust and shock-absorbing from the outside. A further functional feature is the card slot in the inside. QUALITY: The TPU-silicone in the inside of the case is both slip-resistant and flexible. 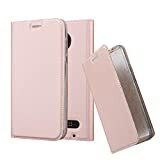 If needed, the smartphone can be removed easily, however, the cover offers perfect grip in case of a fall. During the processing of the case, special care was taken to ensure that your phone is protected in every situation. The selected outside material is resistant and prevents fingerprints. PROTECTION: The robust case offers your smartphone perfect protection from all sides and does not open in the bag thanks to the magnetic closure. Both the out- and inside material is shock-absorbing and protects your phone from scratches and falls. The case is very resilient and durable and provides optimal protection. OTHER: Our suitable protective films for displays, which are available in our shop, offer additional protection against srcatches and shocks and are therefore an ideal supplement. The smartphone shown is not included in delivery. 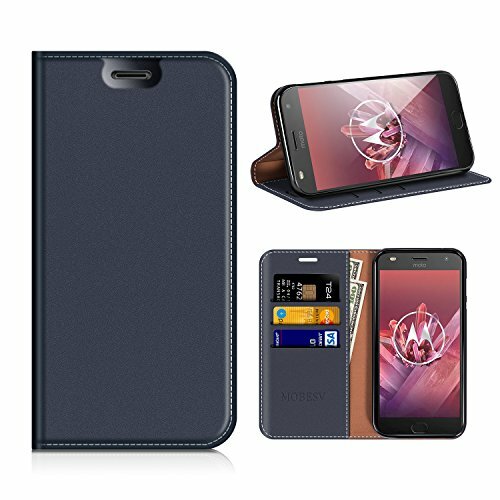 Designed Specifically for Moto Z2 Play. Full access to all ports and buttons, Perfectly fit for your phone and hold it securely. With Card Slot Design, Customer can put one card inside of the case. With Kickstand Fucntion, Free your hand when you watch the movies or video on the table. 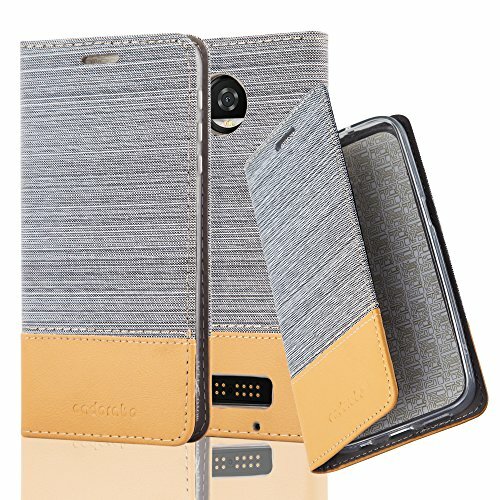 With Magentic design, you can easily closed and open your phone, Nice case no matter you use for daily or work. Made of high quality PU leather, feel great in hand and well made. With premium TPU material inside, Give excellet protection for your mobile phones.